Did you awaken today with a toothache? Do you have severe and persistent throbbing pain radiating through your jaw and neck area? Are you running a low grade fever? If so, you may well have developed a tooth abscess. A tooth abscess is caused by bacterial infection, and causes pockets of pus to build up underneath or in the soft pulp of your teeth. The pulp is the innermost part of the tooth that contains the blood vessels, nerves and connective tissue. Bacteria will enter through either an untreated dental cavity or a chip or crack in your tooth and spread all the way down to the root. Depending on the severity of the infection and how far it has advanced, these are the options of dealing with an abscessed tooth: Open up and Drain the Abscess: The dentist will make a small cut in the abscess, allowing it to drain out, then rinsing with saline and prescribing an antibiotic. Perform a Root Canal: In order to save your tooth, it may be necessary to perform a root canal. The dentist will drill down into the pulp of your tooth, and using special tools remove all the pulp and soft tissue. 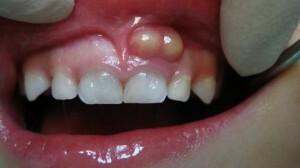 Then they will medicate your tooth, and seal it to prevent further infection. Once it is healed, typically a crown is applied to give you back a fully functional tooth. Extract the Tooth: In severe cases where the tooth can not be saved, your only option is to have it extracted. To replace the tooth, you can choose a dental implant, or depending on location, even a bridge. Tooth abscesses are a very severe infection, and will not go away without treatment. Left untreated, your pain will become more severe, and the infection can spread to your head and neck area. Eventually, it can turn into sepsis – a life threatening infection that spreads through your entire body. We don’t want that happening, and neither do you! If so, give us a call before it becomes something more severe. The earlier you have an abscess treated, the better off you are and I can assure you the better you will feel. Give Dr. Anthony (Tony) Caramico a call, he’ll take care of it for you. 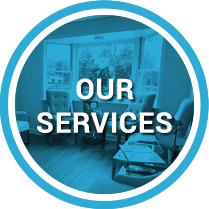 Dr. Tony has been serving Midland Park, NJ and Bergen County, NJ for many years. Call Dr. Tony at Midland Park Family Dentistry today at (201) 447-5555.